The Mexican Chickadee hasn’t been studied nearly as thoroughly as other chickadees found in the United States, but we know that like other chickadees, it’s a cavity nester associating in flocks which can include many other small birds outside of the breeding season. Like the Black-capped Chickadee, it’s believed to be the nuclear species in mixed flocks. It joins other birds to mob Northern Pygmy-Owls. This species is fairly widespread in Mexico (in the Sierra Madre Occidental, Sierra Madre del Sur, and Sierra Volcánica Transversal). It makes it into the United States in extreme southwest New Mexico and southeastern Arizona, where its breeding range is limited to habitat above about 7,000 feet in elevation, that is, the “sky island” extensions of the Sierra Madre Occidental. In winter, there is some movement to lower elevations. There is lots of lowland habitat separating these two disjunct U.S. ranges from the Mexican range; isolated “island” ranges like this make any species vulnerable to local extirpation. 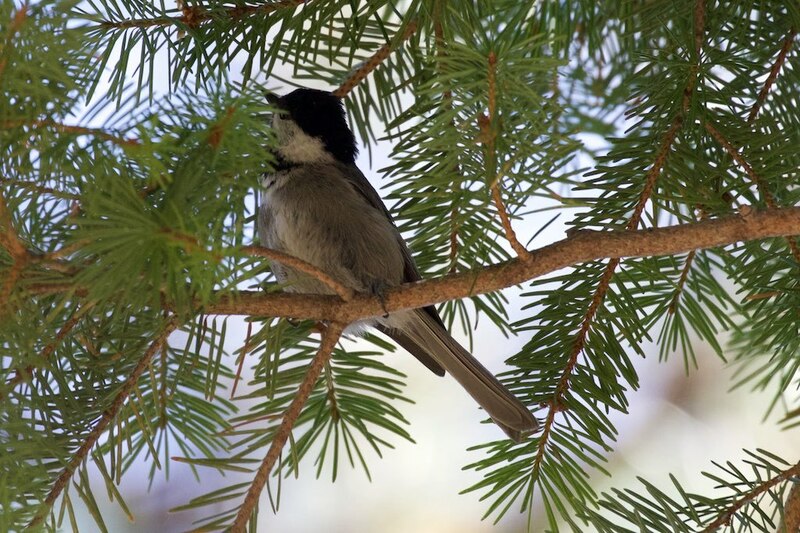 Taxonomists studying chickadees have trouble figuring out some DNA relationships, but Mexican Chickadees seem most closely related to Black-capped and Mountain Chickadees. Photo courtesy of Bettina Arrigoni via Wikipedia.